Welcome to the web home of the Law Office of Alan R. L. Bussard! Alan Bussard practices general law with an emphasis on criminal and civil litigation. 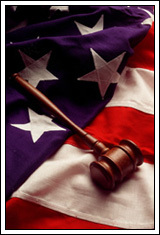 Mr. Bussard has extensive state and federal trial experience, small business representation and estate administration. Alan Bussard was admitted to practice law in Maryland in 1982. In 1983, he was admitted to the United States District Court for the District of Maryland; in 1989, admitted to the United States Court of Appeals for the Fourth Circuit and in 1998, he was admitted to the Supreme Court of the United States. Mr. Bussard is active in the Maryland State Bar Association and is a former president of the Baltimore County Bar Association. Mr. Bussard is recognized throughout the state for his diligent and outstanding representation of clients. Copyright (c) 2016 Bussard Law. All rights reserved. Web site powered by Metro Data, Inc.